Lots of souvenirs and Balinese snacks that you can buy at souvenir shops or in traditional markets. If you don’t know what items or snacks are typical of Bali, here we give a recommendation for a typical Balinese snacks for souvenirs. This most legendary snack from Bali. This pie is simple and small. The shape is round like a pie in general, but more flat. And the best part is the milk fla in the middle. Delicious! 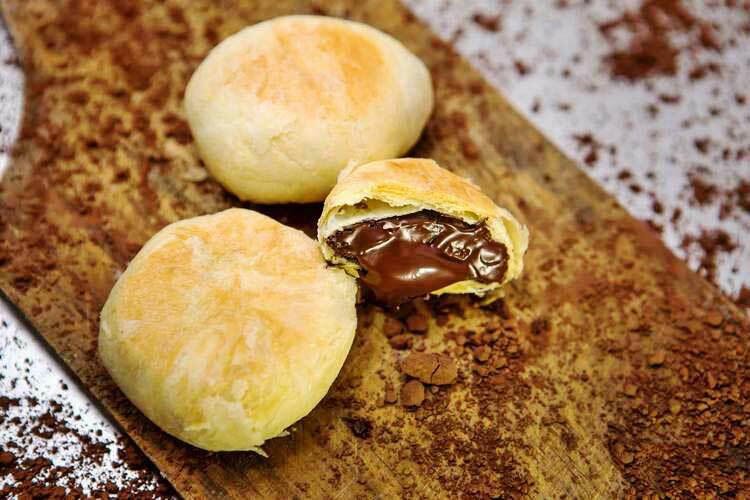 Feel melted in the mouth and the sweetness is felt on the tongue! I don’t know why it’s called disco beans, maybe after eating these beans you want to be disco because it tastes good … .. If you like snacks with savory and spicy sensations, Disco Beans are the answer. 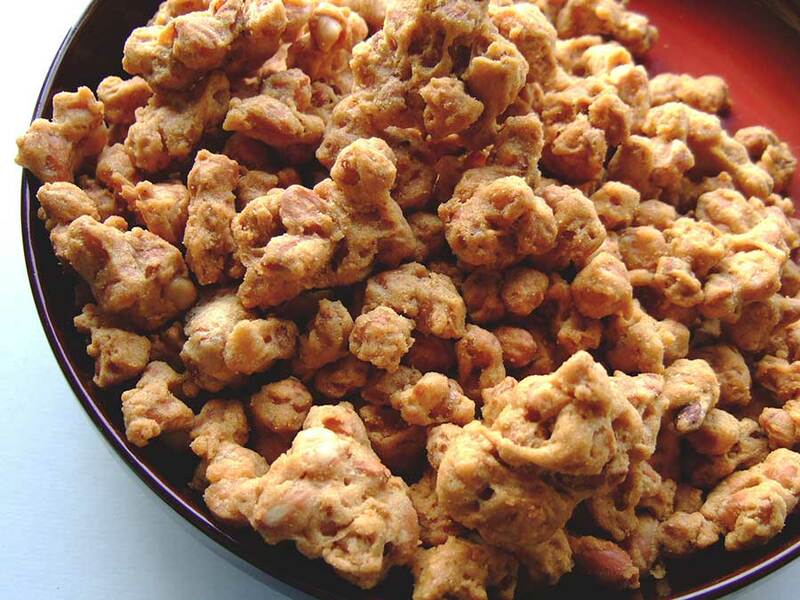 This snack is like ordinary flour beans, but the flour composition is thicker. Now, there are also many disco bean variants. In addition to the original and spicy flavor, there are also cheese, BBQ and shrimp flavors that are popular. 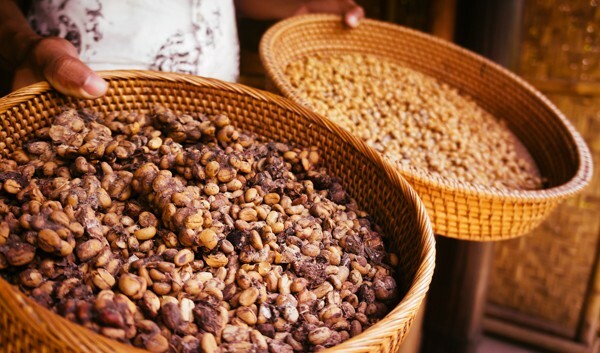 If you’ve ever had dinner on the shores of Jimbaran, surely you’ve never tried salted beans which are usually served as a ‘keeper snack’ before your meal is served. These crispy beans are plain, not given flour or even additional flavorings such as disco beans. But the savory salty beans are suitable for snacks when watching movies, chatting, or while relaxing. This pia is actually not only in Bali, but also a traditional snack from Yogyakarta (one of the regions in Indonesia). Pia is like a pastry, flat round shape filled with sweet green beans. And this is really good. For the original filling is green beans. But now there are many variations of the pia cakes such as chocolate, cheese, strawberries, peanuts, and several others. For those who like coffee, don’t miss Kintamani coffee. This arabica coffee is indeed cultivated in the Kintamani area, Bali. 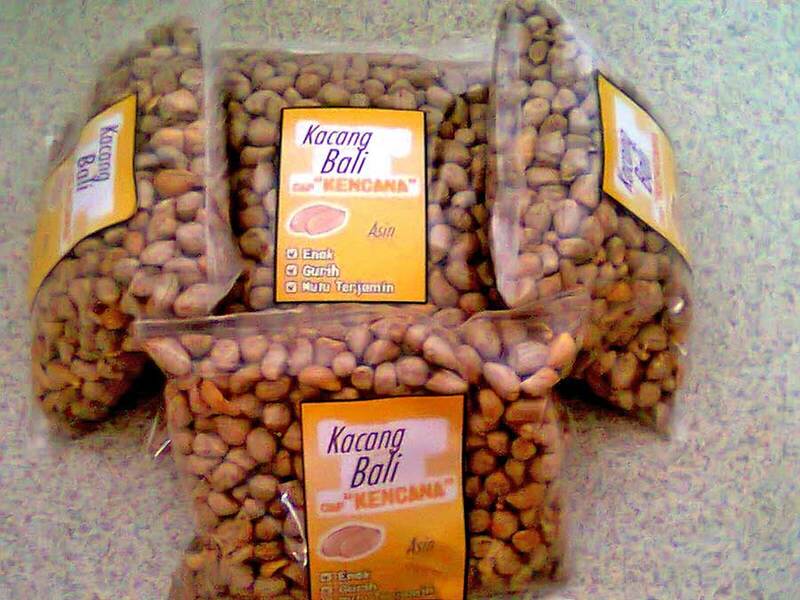 Organized organically, Kintamani coffee is one of the best coffees from Bali. Planted in a cool area with a traditional irrigation system makes the coffee beans better quality. This also makes Kintamani coffee has a soft taste and distinctive aroma. By the way, this coffee has also become worldwide. Some of the export destination countries include Japan, Australia, Arabia and Europe. 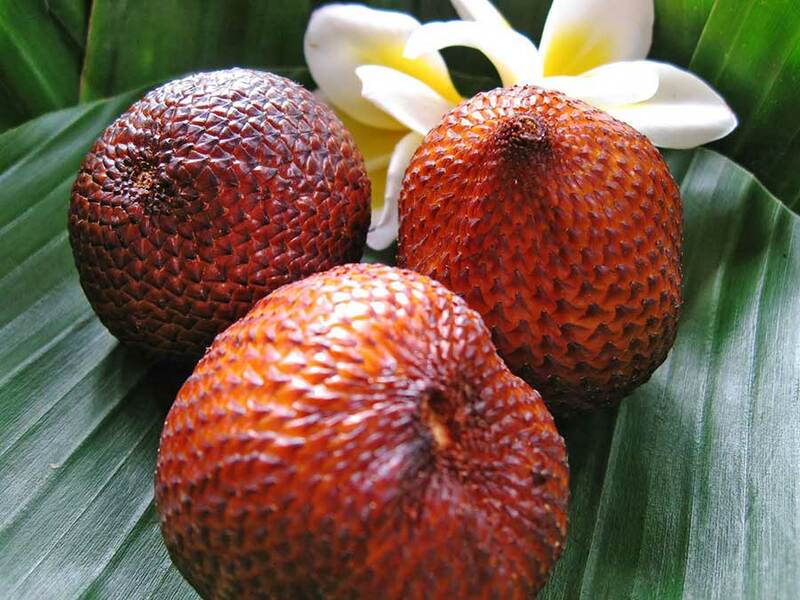 If you want to find Balinese souvenirs that are healthier and more natural, you can buy tropical fruit salak Bali. 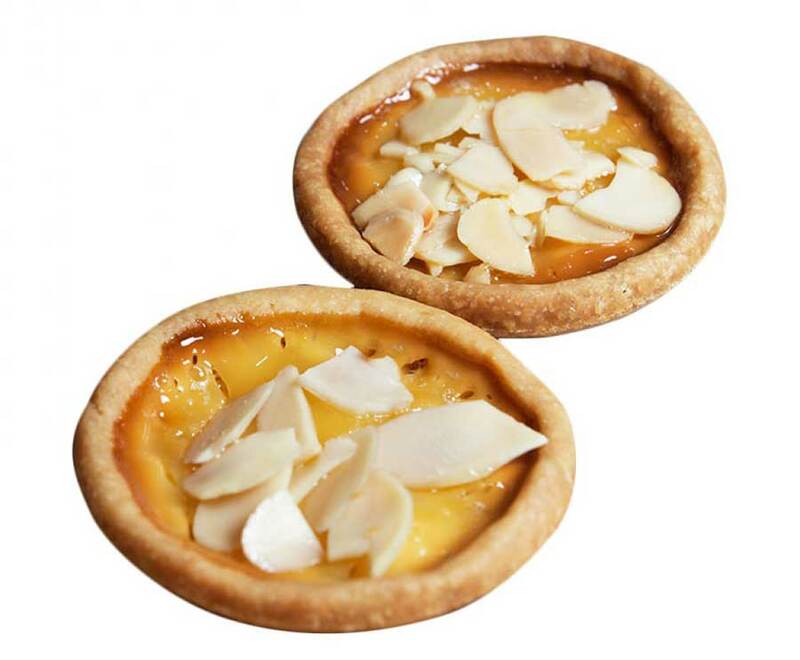 Salak bali delivers a crunchy, starchy experience that conjures associations with watery pineapple and lemon. One strain of extra small, extra sweet salak bali called gula pasir (“sand sugar”). Finding salak is also easier. You can get it in the nearest traditional or modern market. In fact, the center of souvenirs tends to rarely provide this fruit. The chicken feet cracker is a savory snack most enjoyed by Indonesian. 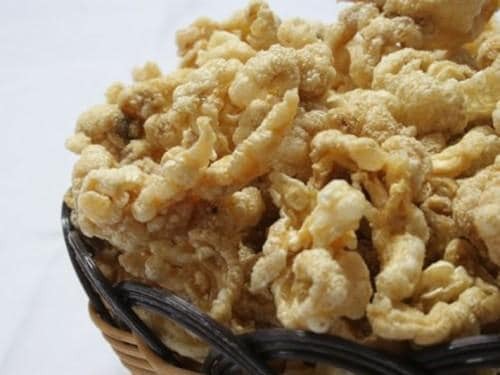 The taste itself is quite similar to chicken flavored potato chips and if you are able to get past the idea of eating chicken feet, which isn’t too bad as far as local delicacies go, then perhaps you may have just found your favorite new local snack. You have to try yourself delicious Balinese snacks.